I am genuinely and heartily delighted to hear how splendidly you have been getting on in English, both as regards the scholarly side of it and the practical side. The mMonthly4, which you say you have sent me, has not turned up yet, but will doubtless do so, and I shall read it with the greatest interest. I am starting away for a week in the mountains5, tomorrow, and that is why I am acknowledging your letter today before I have read the article6 on Gilbert White7. I always felt that you would learn to write well some day, if you cared to and had the patience. And now, your real work has just begun. The distance between excellent writing and good writing, that has a commercial value because it is unique and individual, is the longest distance in the world. I am not speaking now of bad writing that has a commercial value, because there are millions of reasons why bad writing should have a commercial value. But there is only one reason why good writing should have it. A man must have experienced things pretty keenly and must have got pretty close to things before his experiences or the degree of his nearness can matter to many people in this frenzied workshop of a country. NEW YORK EDITORIAL ROOMS N. F. —2— constitutional mental phlegm. When you tell me that your writing tends toward the manner of both Pater8 and Arnold9, I would be a little bit alarmed, if it were not true that every writer I know, at some time thought he wrote like Pater. NEW YORKEDITORIAL ROOMS N. F. —3— giving information?" 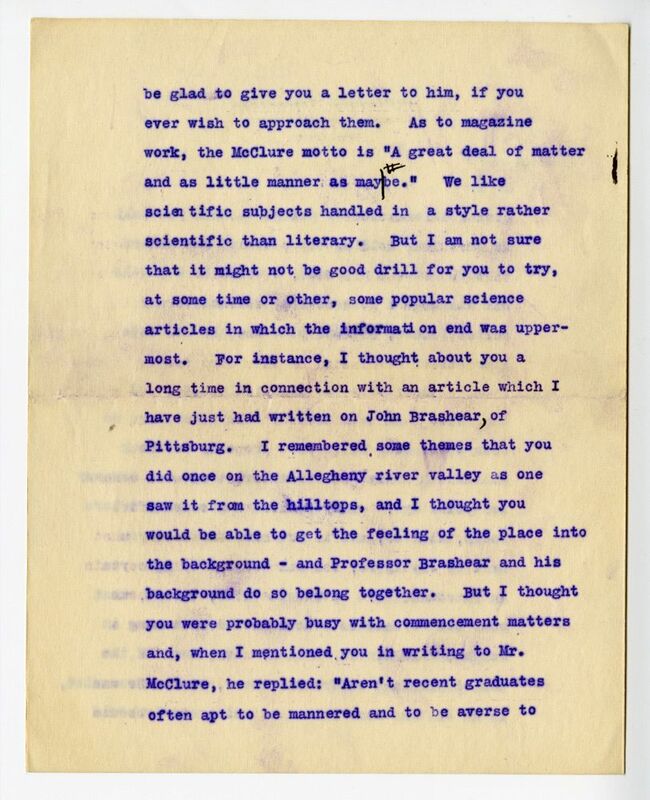 We wanted the facts about Mr. Brashear told pretty plainly, for the facts' sake, so I sent Mr. Edwin T. Brewster17 of Andover18, who has done a good deal of scientific writing for us, out to Pittsburg. Now, if you want to try a practical commission of this sort for us sometime, I shall be more than glad to give you a chance. Nature articles in the nature of essays, of course, go more properly to the Atlantic Monthly19, as the interest of such essays is primarily literary rather than scientific. The popular scientific article, of course, must be done mainly for the sake of conveying certain information. In short, the scientific theme must not be used as a hook on which to hang a certain kind of writing. Huxley20, I think, is one of the best of scientific writers. He was never in the least too technical or too obscure or too literary. This is, of course, random advice that occurs to me as I read your letter over. The commercial scientific article and the literary essay are two wholly different things. Of course, an ideal article on Mr. Brashear would have just as much feeling and just as much literary depth as the writer could put into it, but instead of being brought to the front, that it would be so restrained and and crushed into the background as to be scarcely noticeable — and all the more potent for that fact. This seems to have become a long gossipy letter of the kind that I do not often have time to write and, even if you do not agree with me, I hope you will take it as a proof of my pleasure in your collegiate success and my interest in your future. Document is three leaves, typewritten on recto and verso of each leaf. 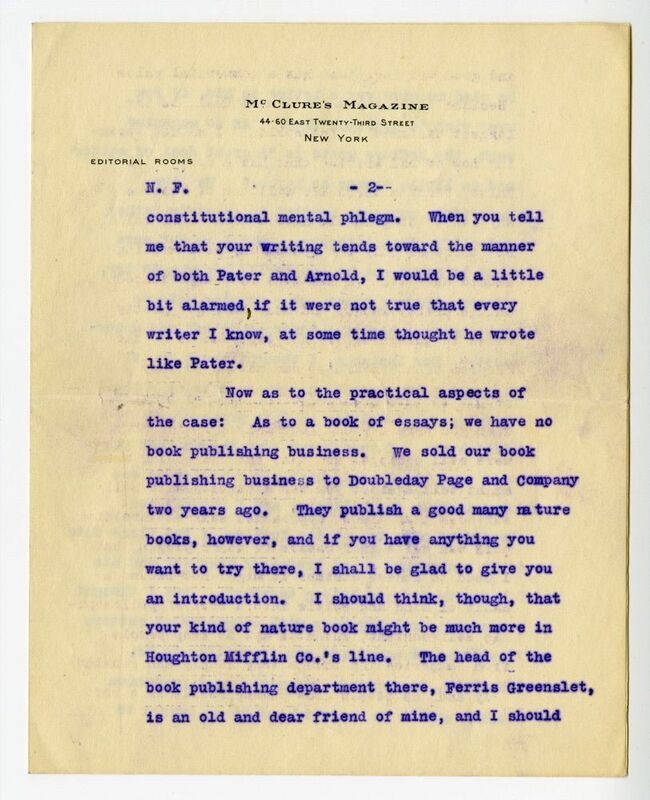 Cather wrote Foerster four days later on letterhead from the Kingsbury Old Tavern of Plainfield Plain, New Hampshire (#0183). Doubleday, Page, and Company was a large US publishing firm. It originated as Doubleday McClure in 1897 with S. S. McClure as a leading partner, though McClure's association with the company did not last long. Foerster published five books with Houghton Mifflin between 1916 and 1928. On June 25, 1910, McClure had an unknown operation at the Maison-Belpeau Hospital in Paris. 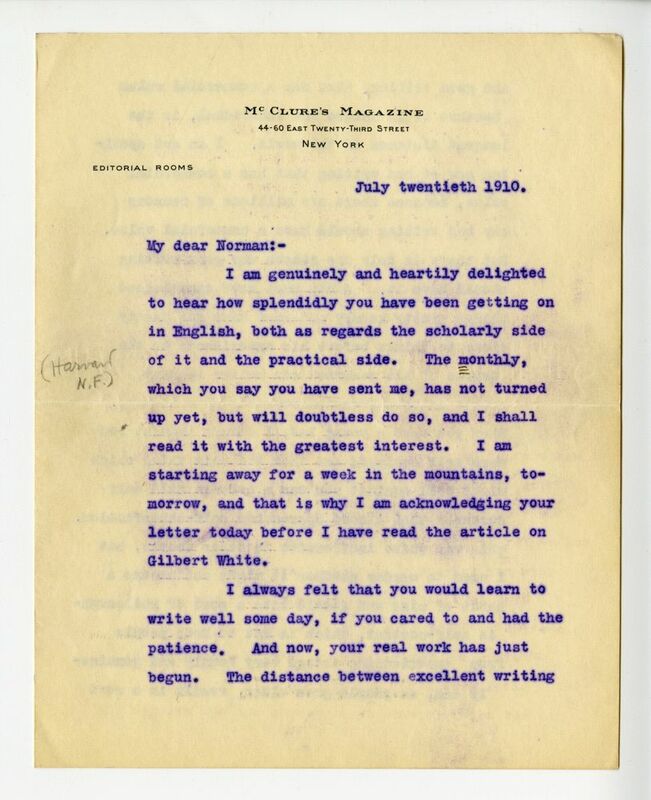 Cather did not go to Europe in 1910-1911, though as late as February 1911 she reported to her aunt that she may still have to go to London for McClure's Magazine (#0188). 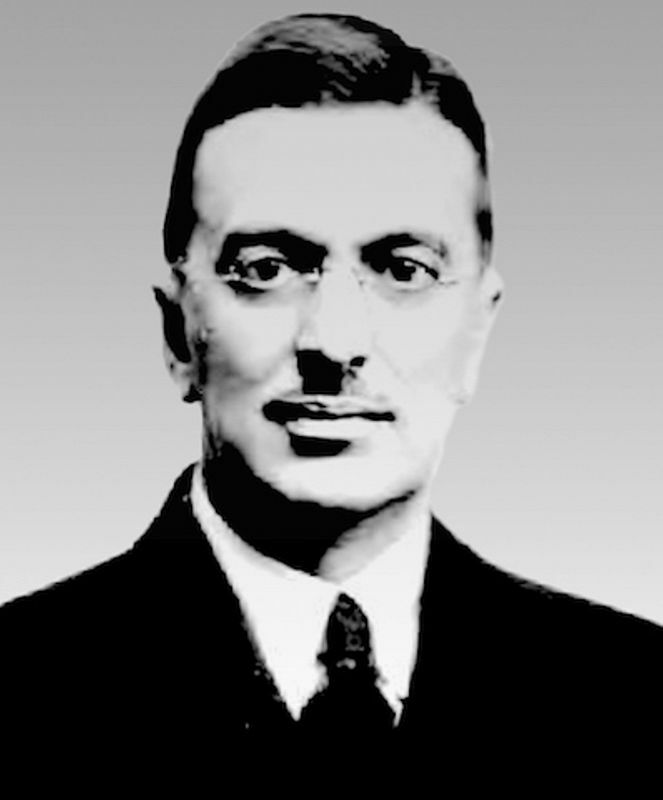 Foerster, Norman (1887-1972). American literary scholar. Norman Foerster was born in Pittsburgh, PA; he was one of Cather’s students when she taught English at Central High School in Pittsburgh. He went on to receive his A.B. from Harvard in 1910 and his MA from the University of Wisconsin in 1912. He taught English at the universities of Wisconsin, North Carolina, and Iowa, as well as at Duke University. 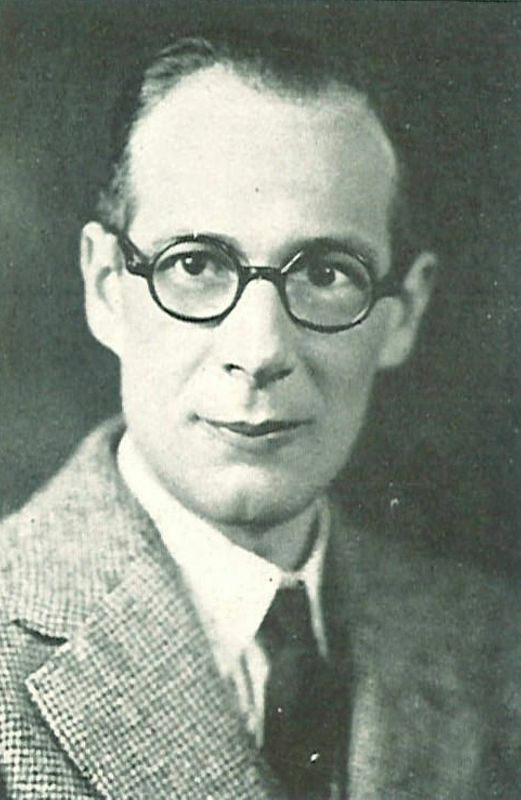 Foerster was a part of the neohumanist movement, along with Irving Babbitt and Paul Elmer More. He wrote often about the role of higher education as well as about American literature. His book, Toward Standards (1930) was dedicated to Cather and to Robert Frost. 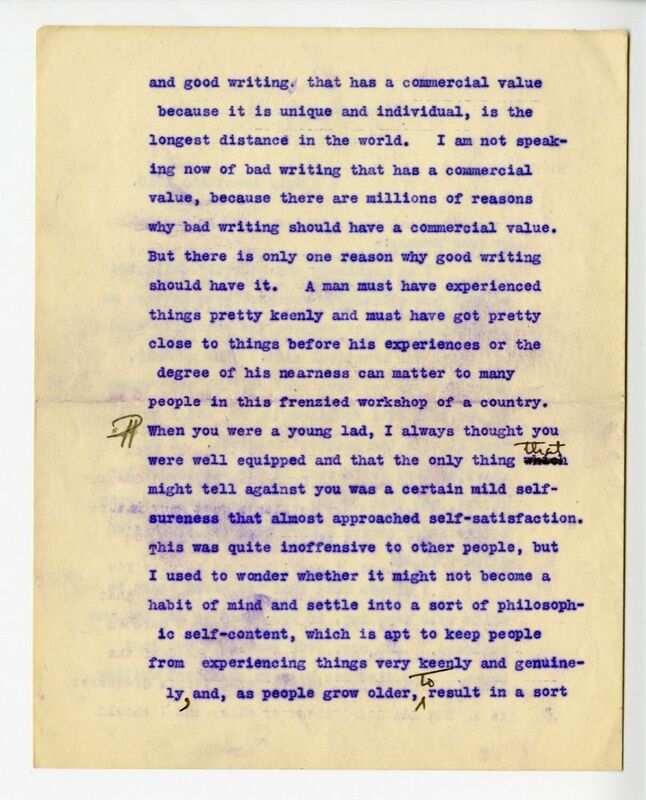 Cather corresponded with him occasionally about his work. White, Gilbert (1720-1793). English naturalist and clergyman. Educated at Basingstoke and Oriel College, Oxford, White was ordained in 1746 and became curate of the Selborne parish. A passionate gardener, he kept a daily record of his activities and observations, which became the basis for A Calendar of Flora and the Garden (1765). His most famous book is the classic, The History and Antiquities of Selbourne (1789), in which White promoted fieldwork as a way to study living wildlife. Because of his contributions to natural history, White is considered the first ecologist. Pater, Walter (1839-1894). English essayist and critic. Born near London and orphaned at an early age, Pater graduated from Queen’s College, Oxford and held a fellowship at Brasenose College. Best known for his essays collected in Studies in the History of the Renaissance (1873) and Marius the Epicurean (1885), Pater advocated “art for art’s sake” and was a key early figure in the Aesthetic movement, influencing both Oscar Wilde and George Moore. Cather considered Pater a fine critic but discourage others from emulating his style (#0183). Arnold, Matthew (1822-1888). British essayist and poet. Born in Middlesex, England to Thomas Arnold and Mary Penrose, Arnold attended the Rugby School, of which his father was headmaster. After graduating from Oxford University in 1844, he taught at Rugby. 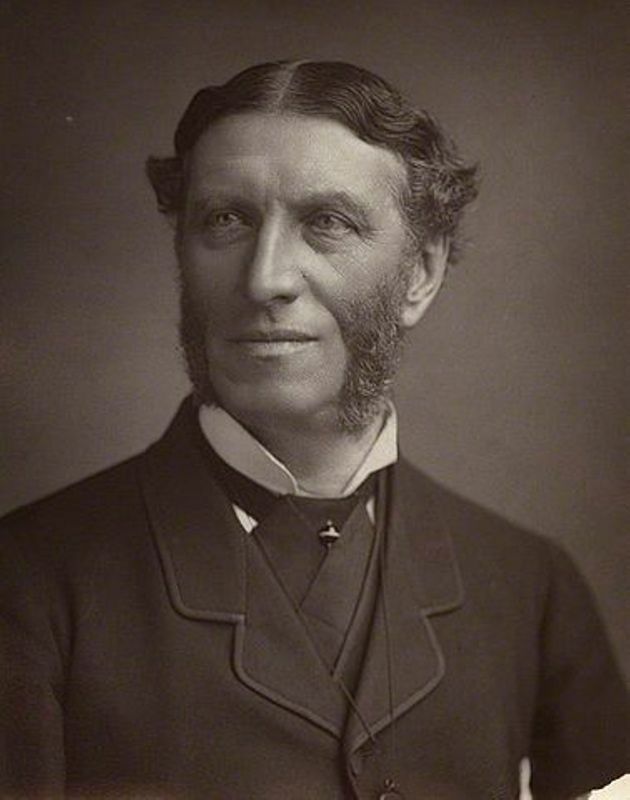 From 1851 his work as a government school inspector involved traveling throughout England, and he also wrote poetry, including: Empedocles on Etna (1852) and Poems (1853). In 1857 he accepted a position as Professor of Poetry at Oxford and became the first instructor to lecture in English instead of Latin. Arnold is best known for his critical essays collected in Essays on Criticism (1865) and Culture and Anarchy (1869). In both his poetry and critical work, Arnold called for a renewal of religious faith and the adoption of classical aesthetics and morality. 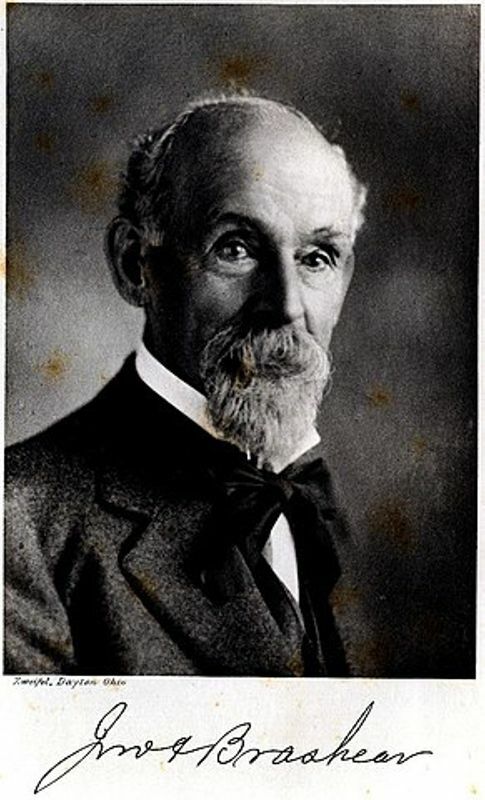 Brashear, John (1840-1920). American astronomer and businessman. Born in Brownsville, PA, Brashear left school at fifteen to apprentice as a machinist. Working by day in a rolling mill in Pittsburgh, PA, at night he and his wife, Phoebe Stewart, invented new telescopic lenses, pioneering the “Brashear Process” of coating first surface mirrors. 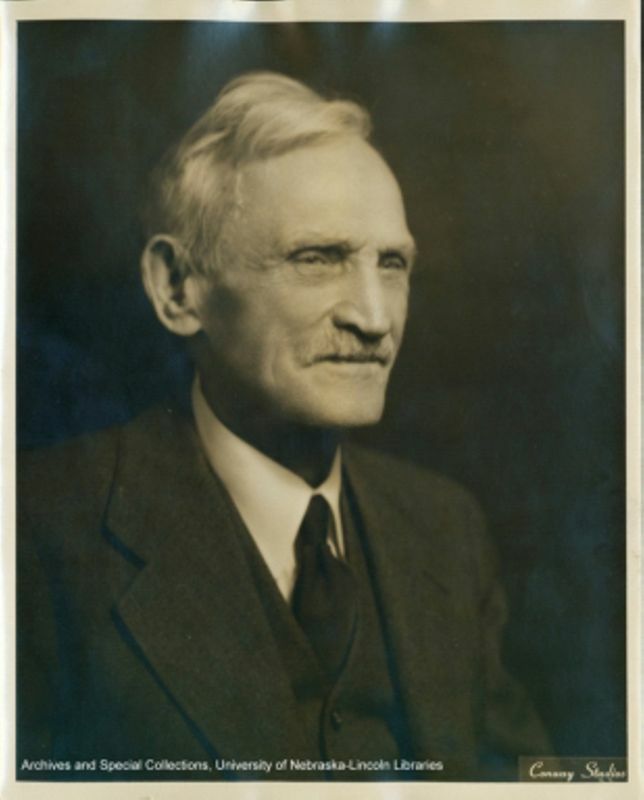 In 1880 he began manufacturing astronomical and scientific optical instruments and formed John A. Brashear Co. His innovative instruments, sold worldwide, revolutionized the field of astronomy. In 1898 he was made director of the Allegheny Observatory in Pittsburgh and from 1901 to 1904 served as chancellor of the University of Pittsburgh. In March 1897, Cather published an article about Brashear, “The Carnegie Museum,” in the Home Monthly. 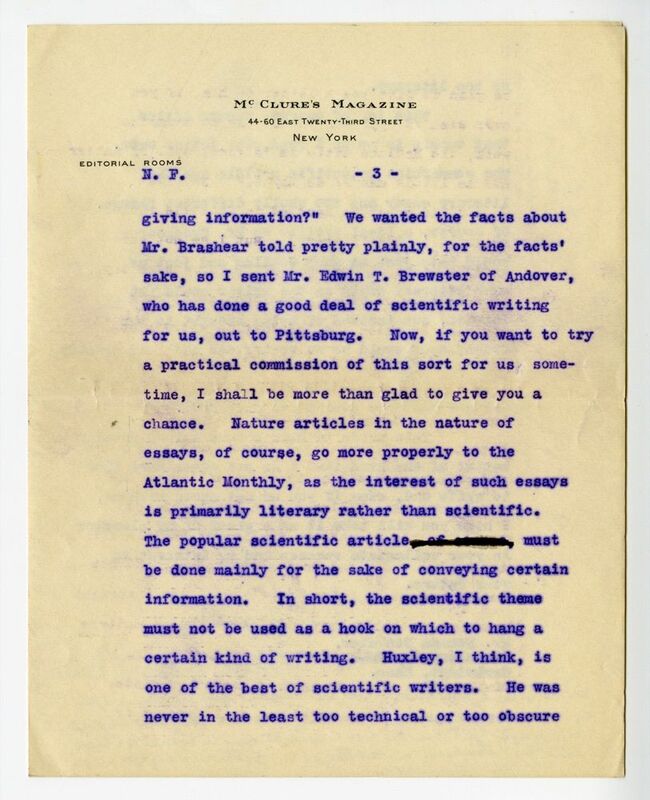 As managing editor at McClure’s Magazine, Cather commissioned popular science writer Edwin Tenney Brewster to write an article on Brashear. Brewster, Edwin Tenney (1866-1960). American writer and teacher. Born in Lawrence, MA, to John Brewster and Ada Tenney, Edwin Brewster graduated from Harvard University in 1890 and studied zoology at the graduate level from 1893-1895. Brewster taught science at the Brewster Free Academy of Wolfeborough, NH and the Philips Academy of Andover, MA. As a popular science writer, he published Swimming (1910), Natural Wonders Every Child Should Know (1912), A Guide of Living Things (1913), The Nutrition of a Household (1915) with his wife, Lilian Brewster, Vocation Guidance for the Professions (1917) and The Understanding of Religion (1923). Brewster also wrote for the Atlantic Monthly, World’s Work, St. Nicholas, and McClure’s Magazine, where Cather commissioned him to write an article on astronomer John Brashear. Huxley, Julian (1887-1975). English biologist, philosopher, and author. Born in London to Leonard Huxley and Julia Arnold Huxley, Julian Huxley attended Eton and Balliol College, Oxford. He is known for his important scientific research on evolution, hormones, and embryology and for coining the term “evolutionary synthesis.” Huxley developed and headed the biology department at Rice University in Houston, Texas (1913-1916) and served in the British Army Intelligence Corps during WWI. In 1919 he married Marie Juliette Baillot and they had two sons, Anthony Julian and Francis Huxley. 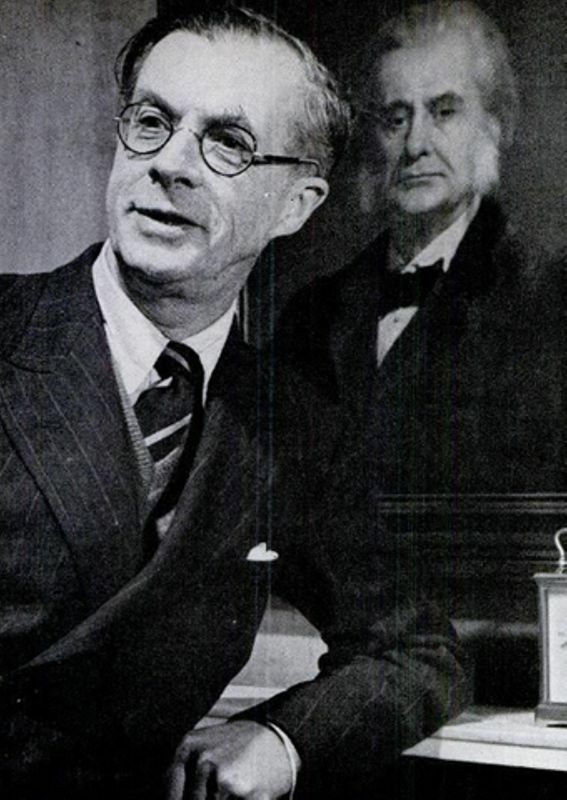 Julian Huxley was professor of zoology at King’s College, London (1925-27), was appointed secretary to the Zoological Society of London (1935), and served as the director general of UNESCO (1946). 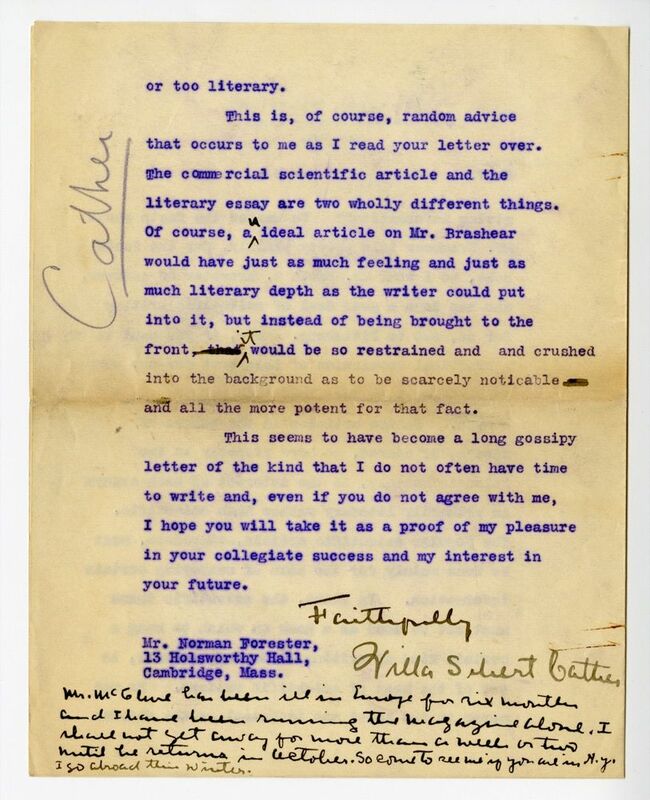 Cather admired Huxley’s work, humorously observing that cutting down Lloyd C. Douglas’ novel The Robe would allow more paper for Huxley’s publications (#1643).